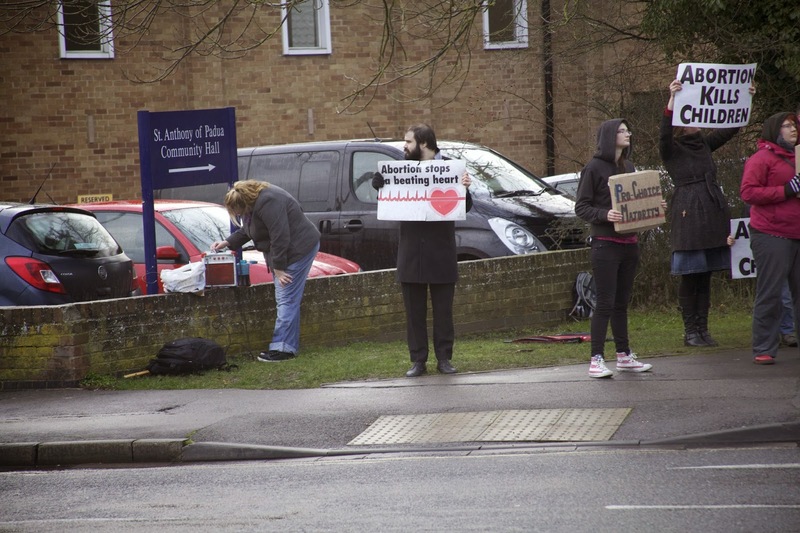 For the third time, a small counter-demonstration has accompanied the monthly pro-life witness in Oxford. This time they managed to gather I think six people. 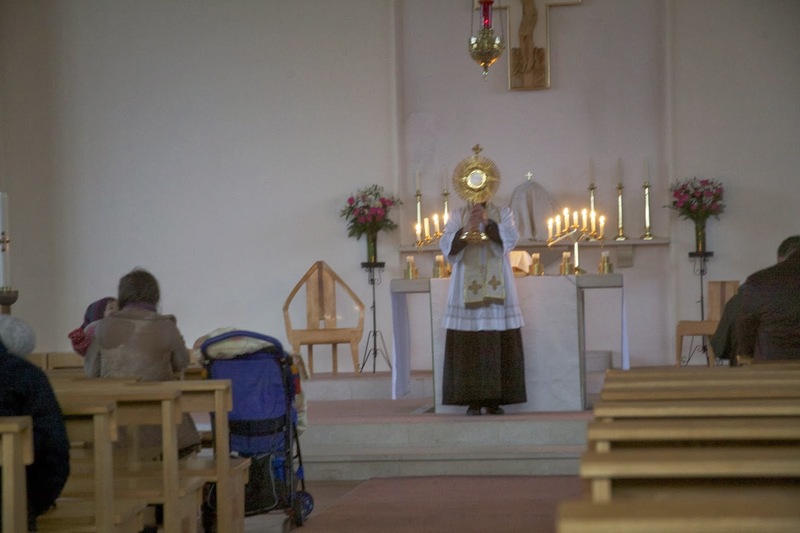 There were about 55 of us, and a few more with the Blessed Sacrament in the church. The witness has been going since 2007 without any trouble. We pray the Rosary, nearly always led by a priest. The location is outside the Catholic parish church of St Anthony of Padua, by the entrance to the John Radcliffe Hospital. Not by the hospital door - by the road which leads to the hospital. 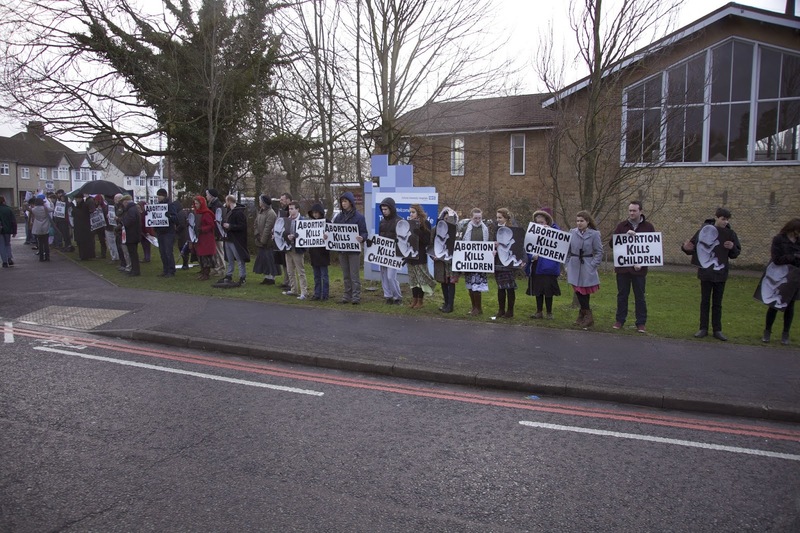 The 'JR' is the only place in Oxford where abortions take place. The witness happens on a Saturday afternoon, when, in fact, no abortions take place. From a political point of view our 'protest' is purely symbolic. We aren't intimidating anyone on their way into the hospital. It is not a particularly busy road. But we are praying. And we have the Blessed Sacrament exposed in the church, and have Benediction at the end. 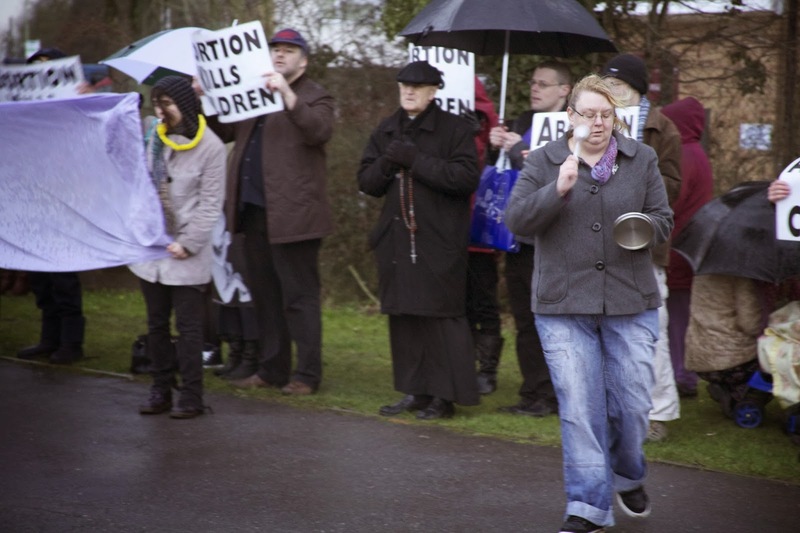 The pro-abortionists are not primarily interested in getting their own message across, but of hiding our placards and stopping us praying, with a music player, a whistle, and by banging a spoon on a tin tea-pot lid. 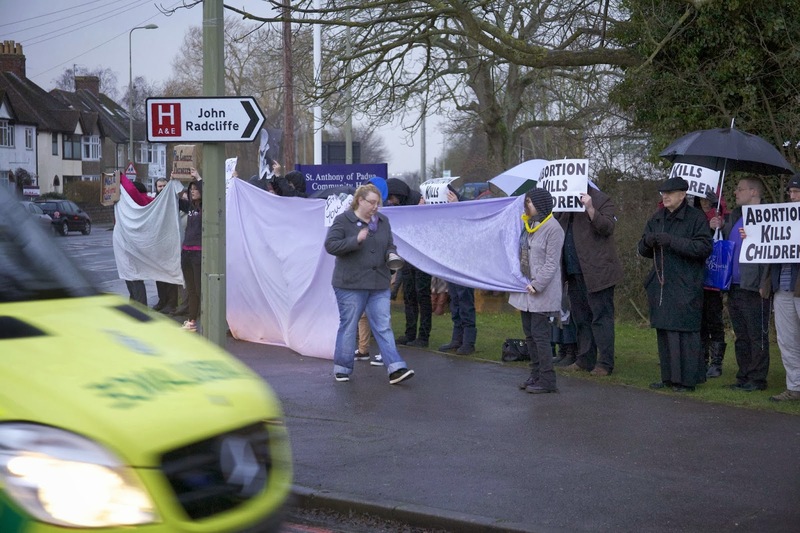 In all this they are almost comically unsuccessful, and I felt rather sorry for the not-very waterproof looking protesters as the rain turned into hail. Dear Lord! You must be doing something good! You must be pleasing God because the man downstairs doesn't seem happy! Vary the times of witness against this public evil. Thank you. 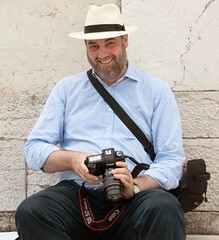 I would like to come and support your prayerful witness next time. What was evident from your most interesting film, is the peacefulness of the pro-lifers in the face of intimidation from the anti-lifers. As a point of interest, I believe they are breaking the law. Counter protestors are not allowed to confront protestors directly in this way. They could be required, by the police, to stand at a distance e.g. the opposite side of the road to make their erm... point. Which, as you say, they never quite got round to making. Could I just ask - when the cameraman filmed the young women despite her explicit refusal of permission, was he committing a criminal act or would it be a case for a civil court? No. There is no law against filming in public. She was trying it on. It is funny really since she was taking part in a 'demonstration': she was trying to get people to look at her, you'd have thought. I realise it doesn't seem to make sense, but I did notice her refusal. Joseph, your cameo appearance is just wonderful! My family laughed and laughed! What fantastic comic timing!